The Worship Pavilion: with a design reminiscent of a grand old tobacco barn, this beloved structure is nestled at the bottom of the ridge. It has a breathtaking view of the mountains and is perfect for large group or corporate worship. The Worship Pavilion: with a design reminiscent of a grand old tobacco barn, this beloved structure is nestled at the bottom of the ridge. It has a breathtaking view of the mountains and is perfect for large group or corporate worship. The worship pavilion offers protection from the elements with a large tin roof but is not recommended for storing anything that should not be exposed to weather. The Worship Pavilion has movable benches to accommodate any style of worship. They can be moved out of the way for games and skits, or brought into a tight circle for more personal teachings or singing. The Dining Pavilion: located near the top of "the ridge," the kitchen is equipped with two electric stove/ovens, three upright refrigerators and a walk-in pantry for non-perishable food items. The wall separating the kitchen from the dining pavilion opens to create a buffet style serving window. The dining pavilion houses eight large picnic tables and is decorated with hand-painted signs created by the various groups that have visited Glory Ridge. These signs give glory to God with scripture and art work that represent the group's stay. 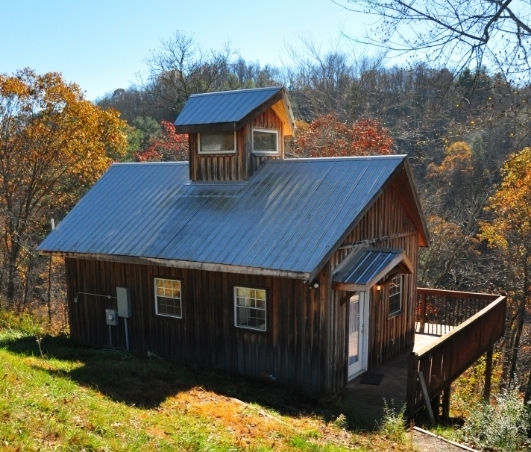 The Bunkhouse: located on the river side of the mountain, this building has bunks to accommodate approximately 35 people. The cabin is separated into a girls' side and a boys' side by way of a central wall. Both sides have an attached deck from which the French Broad River can be heard below. Some groups choose to set up tents or sleep on the camp's open-air pavilions while using the bunkhouse as a headquarters for their belongings. The Brothers Pavilion: located next to the girl's bunkhouse this pavilion is ideal for small groups or leadership planning meetings. It is also a favorite for folks looking for a quiet place to read or talk. It can even be used as a sleeping space! The Sabbath Cottage: this winterized space offers individuals a place to rest and find solitude with God. The deck overlooks trails leading down to the creek and pulpit rock. 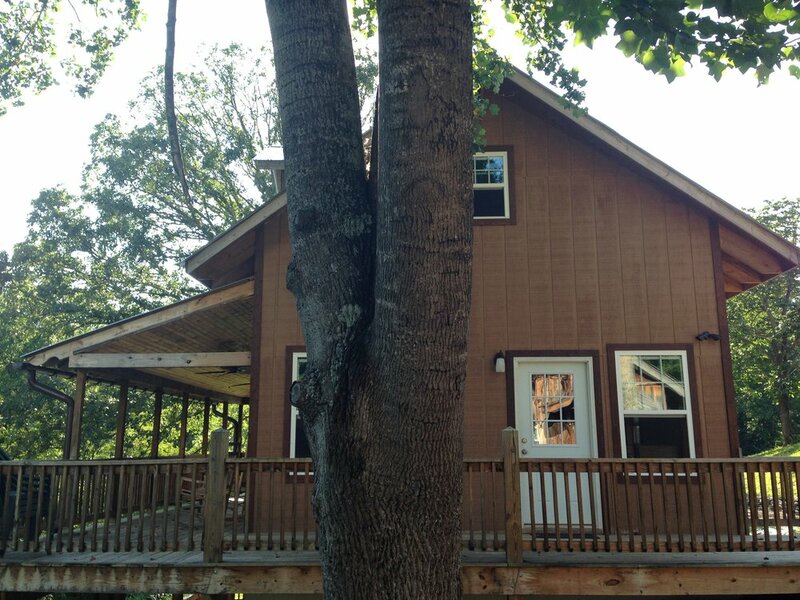 This cottage has one full bath, is heated, has an efficiency kitchen, and a loft area for sleeping. The Prayer Garden: surrounded by butterfly bushes this space is ideal for one-on-one conversations, private reflection, prayer and journaling. It has several benches that convert easily into small tables. The Sisters House: Anointed on June 4th, 2017, this house complements the Sabbath Cottage and the Prayer Garden on the creek-side of camp, creating additional winterized space for individuals, small groups and families to gather for intentional, Christ-centered retreat. Both the Sabbath Cottage and the Sisters House are simple, prayer-drenched spaces for practicing presence with each other and God. We pray people will experience healing through the Sabbath Rest they seek here. Therefore, their purpose is distinctly different from that of vacation rental cottages and Bed & Breakfasts that serve folks in times of leisure travel and entertainment.